Talk about a smartphone with a small body, bigger screen, yet presents visual feasts. That’s what iLA R1 is about. 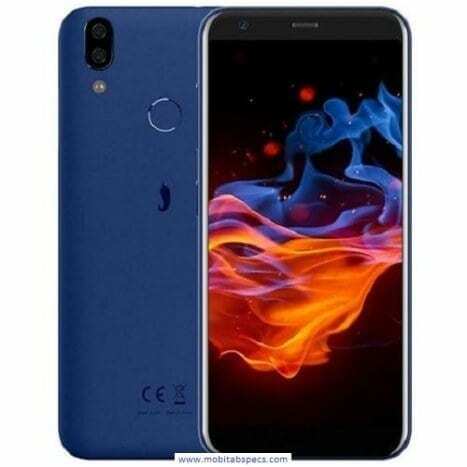 The smartphone has been released in the month of October 2018. Here is a scaled back smartphone that sheds weight only because of being affordable. Areas such as camera features, battery power, performance, and design are all moderate just to accommodate low income earners from all corners of the world. We take a brief look at the full specifications of iLA R1 in a bid to help fans make a buying decision. iLA R1 is predominantly plastic, yet it appears elegant. The display type is HD+ IPS LCD capacitive touch screen size 5.45 inches. Similarly, the resolution is 720 x 1440 pixels. The screen comes with 16 million colors. Pixel density is 295 ppi, while the screen to body ratio is 73.47 percent. Aspect ratio is 18:9 and the display is multi-touch up to 10 fingers. Additionally, the device is scratch resistant, made of 2.5D curved glass screen. However, there’s no secondary display for this device. The dimensions are 70.36 x 148.76 x 8.95 mm and it comes in red and blue colors. The iLA R1 is jubilant for having dual rear cameras. These come in 13 MP and 0.3 MP. At the moment, we are unable to decipher what resolutions the pictures snapped come out with but we do know that video recording is FHD capable and the quality comes out in 720p@30fps. Features include auto focus, continuous shooting, digital zoom, exposure compensation, digital zoom, face detection, geo-tagging, panorama, scene mode, self-timer, touch to focus, aperture f/2.2, and LED flash. The selfie camera is a scanty 5 MP shooter that comes with front flash and a host of other hidden features. Primarily, Android 8.1 is the dominant software that powers the iLA R1 mobile device. The OS should easily upgrade through its firmware to the latest Android. There is MediaTek MT6739 SoC chipset with process technology of 28nm in iLA R1. Accordingly, there is Quad-core 1.3 GHz 4-Cores bundled up with GPU PowerVR GE8100 2-Cores. There is 64-bit architecture in the device. Things are rather simple here, as there is 2GB of RAM which cannot be expanded, and 16GB of internal storage that can work with microSD card to get up to 64GB external storage. These justify the iLA R1 price. Thankfully, the iLA R1 is able to handle 2G, 3G, and 4G LTE. Some mobile smartphones of this makeup and price are unable to handle 4G LTE. The smartphone also has dual Nano SIM card slots and any of these can handle all the aforementioned networks. Other connectivity features include Bluetooth, Wi-Fi, mobile hotspot, GPS, A-GPS, GLONASS, microUSB 2.0, HDMI, 3.5 mm audio jack, and others such as rear fingerprint scanner and face lock technology. However, the device lacks NFC and infrared. There’s a non-removable Li-Po 2800 mAh battery inside the iLA R1 device and it has no fast charging or wireless charging technology whatsoever. The iLA R1 smartphone price starts at $90 USD although the price may vary from store to store. The mobile phone has been released in the month of October and is up for sale online and offline.